Nascent entrepreneurs have their own business for several reasons, but one can easily distinguish their motivations in two types: the willingness to be an entrepreneur and the need to be one. Finding a good opportunity in the market is not the only way to start a business; entrepreneurs also start a business because there is no better or no other choice to avoid unemployment (e.g., Evans and Leighton, Small Business Economics 2:319–330, 1990; Masuda, Small Business Economics 26:227–240, 2006). The Global Entrepreneurship Monitor divides entrepreneurs’ motivations in two ways: opportunity and necessity. 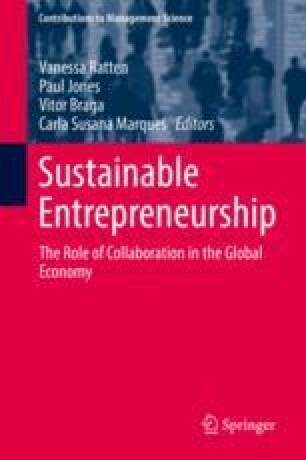 This research analyzes the motivations of nascent entrepreneurs; more specifically, it identifies the main motivations of entrepreneurs across different countries, presenting the characteristics that most influence the motivations of the individuals either by necessity or opportunity; and finally, it clusters countries in terms of entrepreneurship types and characterizes them. The literature suggests that entrepreneurs by opportunity are strongly associated with developed countries. Therefore presenting a set of characteristics that influences these motivations allows a greater understanding of the entrepreneurship process, where the motivation and the process that influence the business decision-making of individuals are critical. Our results show that motivations for entrepreneurship are strongly correlated with the sociodemographic characteristics of the entrepreneur, e.g., age, education, and family income. Our study also shows that entrepreneurship by opportunity does not necessarily happen in developed countries. In contrast, it should be noted that entrepreneurs by necessity do not seek to start an innovative business, nor do they perceive good opportunities in their context; nevertheless they decide to become entrepreneurs as a way to overcome the lack of employment opportunities, suggesting that they seek to avoid possible risks.